New 3D Design Paradigm in Action? Using a spaceball type of controller is the only alternative modeling interface that I’ve seen used with any frequency. Even then, most designers I’ve worked with in industry have stuck with a keyboard and mouse most of the time (myself included). While a spaceball is nice, it’s only an incremental change in how you interact with 3D space on screen. Is Elon Musk’s vision a disruptive shift in interaction? Will it make designing complex parts easier? Maybe not, but it will make being a mechanical designer or 3D artist alot more fun. I see this more useful for industrial design and character modeling than I do for designing rocket engines. 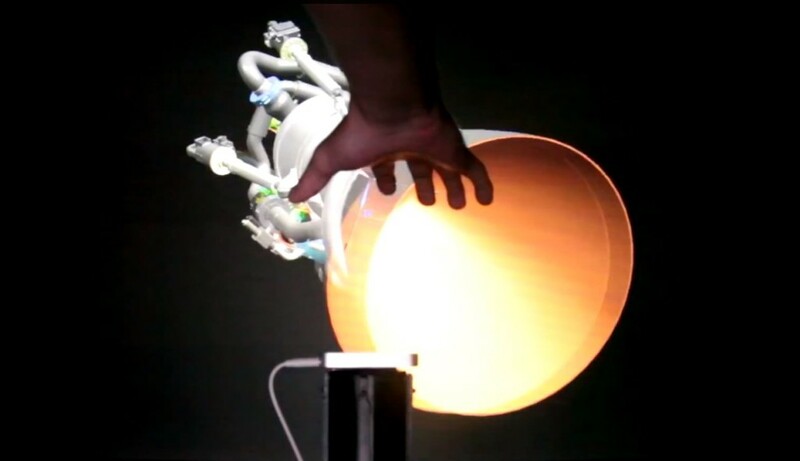 The freeform nature of subdivision modeling makes this particularly appealing, especially when haptic feedback can be incorporated into your hands. At that point, an artist could literally sculpt in 3D space. I see tremendous value on the visualization side. We often refer to 3D models as “virtual prototypes.” Seeing a design through the eyes of an Occulus Rift adds a new level realism to that experience, and this has tremendous potential for gathering feedback and improving our virtual prototypes. And that’s exactly what SpaceX demonstrated in the video above. It has presented a fantastic tool for Elon Musk to review and dig into the 3D designs his engineers are working on. What we did not see were any examples of usable interaction in the design process. Nothing we saw was designed using this type of interface. That’s OK, but it’s important to realize that design utility will lag the visual utility for some time. In my opinion, a tool that combined haptic feedback with a holographic display is when we will see the benefits during the design process. The idea of my desk surface becoming a usable volume where I can “feel” virtual parts is a game changer. Instead of double clicking a feature, I might double tap it’s surface, see dimensional information appear, and simply grab a triad and stretch a dimension. That type of demonstration will get me excited, as that has the ability to really disrupt how design is done on a day-to-day basis. Exciting stuff, but I suspect usability is a long way away. It’s awesome to see a company like SpaceX leading the charge.